In the most recent Arrowverse crossover on The CW, the Monitor’s readiness to test the heroes crosswise over different realities caused some real ramifications for the future. 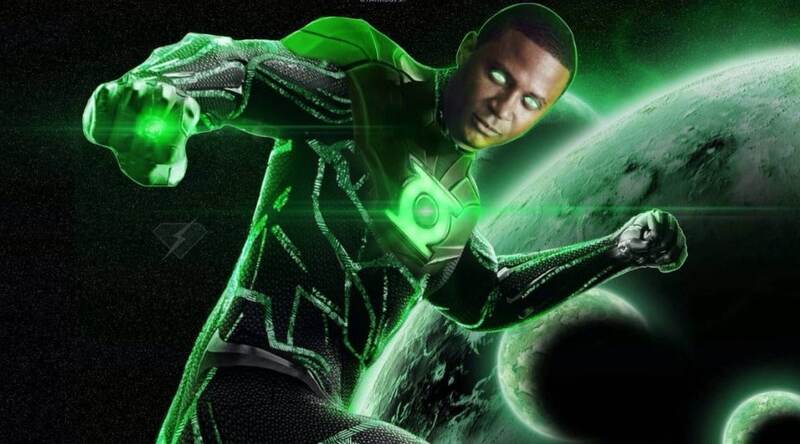 While they endure the events of “Elseworlds,” they’ll need to manage an “Crisis on Infinite Earths.” But they may recover some up as a Green Lantern, as the first Flash prodded when he saw John Diggle without a ring amid the crossover. Even Diggle actor David Ramsey conceded that he’s as energized as the fans. “We’ve been talking about that ring since Season 1,” Ramsey said to TV Guide. “I always loved the idea of being able to jump into the John Stewart mythos, obviously, but I also loved the idea that we were creating something that didn’t exist before. John Diggle never existed before. We created this character, Spartan, that never existed in the comics or in any other universe, and now it’s part of the comics. So that was always something and continues to be something I’m really proud of. While Ramsey is pleased with his role as Diggle — and that he’s uncertain of what storylines the brains behind Arrow and whatever is left of The CW hero shows indicates have in mind — it appears as though there’s something in play for future. Arrow showrunner Beth Schwartz and The Flash showrunner Todd Helbing talked about the likelihood after the three-section “Elseworlds” crossover aired. “Yeah, it’s not been written yet,” Schwartz said. Regardless of whether it doesn’t occur, Ramsey is glad to proceed as he and co-stars Stephen Amell and Emily Bett Rickards have won fans as the first Team Arrow. “Even without [the Green Lantern], I think that John Diggle, Oliver Queen and Felicity Smoak work. If John Stewart fits within that realm some type of way or another, great. If not, I couldn’t have picked a better role to have played in my life,” Ramsey said. Arrow airs on Mondays at 8/7 Central on The CW.